Yep, it’s the Halloween season! Being one of the most exciting holidays of the year, it’s easy to lose sight of some important things to consider while decorating your home for the big event’s festivities! Small children sometimes need some help getting up & down staircases. While sprinting up the stairs to get their beloved candy treats, it’s always a good idea to provide them with a sturdy railing to make them feel safe. Halloween enthusiasts don’t always follow proper home decorum when trying to fill up their candy sack. More often than not, some will try cutting through small & dimly lit pathways to get to the next candy distribution center. It’s important to keep any & all pathways and walkways as clear as possible for an accident free environment. Yes, buying candy for Halloween is half the fun, however, not every candy choice is appropriate for every age. Some candy can be a bit to large to handle & could present a choking hazard, while others can be too hard & provide other discomfort. It’s always a good idea to choose softer & easier to consume candy. Although authentic is always best, there are other ways to go about achieving the “Haunted House” look. Instead of putting out real candles to illuminate your Jack-O-Lanterns & other spooky elements, try using flameless candles that often times provide a faint flickering feature to make the experience as authentic as possible! Dressing your pets up in adorable costumes for all to admire is half the fun, right? Of course! However, some pets do not do as well with new visitors to their “territory”. Therefore, it’s a good idea to keep your little Frankenstein in the castle. Whether you have a tough time making it to the door or you might not be home because of other ghoulish gatherings, it’s not a good idea to leave candy unattended. Unfortunately, someone could taint the candy & risk harming your trick or treaters! These tips are not only for the safety of your guests, but also for the safety of your home. If you’re planning a night out when little goblins are roaming the streets, it’s a good idea to make room in your garage to store your cars. Unfortunately, there may be those who will spoil the night for others by harming your vehicles. Do yourself a favor & do some “fall cleaning” to make room for your prized possessions. They’re just kids, right? Possibly. While most who approach your door will only have candy on their minds, there are others who might have more dubious intentions. If you feel uneasy when someone or a group is approaching your door, it’d be a good idea to not open up. 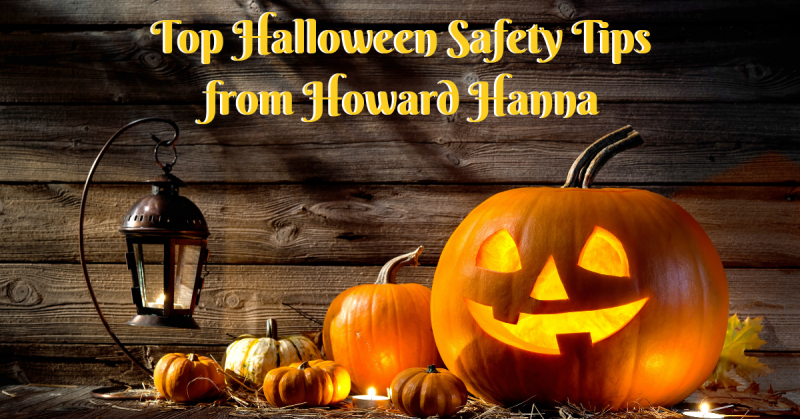 Halloween has a reputation of being a scary holiday, but that doesn’t mean it should also be an unsafe holiday. By following these tips, you can help protect yourself against any less-than-friendly visitors & also provide a great experience for your guests! Looking for fun Fall activities, check out the Best Fall Farms in Our Eight States!